Here are two new stories I’ve written about interesting new research presented at recent conferences this fall, the National Association of Science Writers meeting in October and the American Geophysical Union meeting this week. Like a 21st-century Spock, Dr. Sara Seager seeks out new worlds and civilizations. With continually improving telescopes, she persistently and passionately pursues her grand quest: to search throughout our galaxy for habitable planets, a few of which might even resemble the Earth. Seager, an accomplished professor of planetary science and astrophysics at MIT, gave an engaging presentation at the 2015 Science Writers meeting. She spoke clearly and intensely about her research and the exciting future of planetary exploration. She and her research group have made important breakthroughs while characterizing newly discovered planets beyond our solar system, known as exoplanets, using the NASA Kepler space telescope. With powerful next-generation observatories, she also looks forward to the next frontier, where her ongoing mission could come to fruition. …In most exoplanet work, astronomers consider only certain planets as potentially life-friendly. Their orbit, atmosphere, surface and climate all must be just right, falling within narrow ranges of parameters. A successful search requires a daunting understanding of biology, chemistry, and geology, as well as astronomy and physics. …Seager argues that the traditional concept of habitable zone is too rigid and should be expanded. 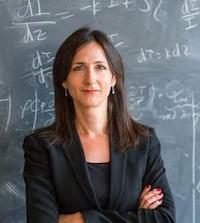 “Exoplanets are diverse, covering nearly all masses, sizes and orbits possible,” she says. What scientists mean by habitable should be more inclusive, or they risk missing outlier planets that nonetheless could be conducive to life. Accounting for habitability varying depending on the type of star or planet alleviates the situation. As Saturn’s largest moon, Titan earns its name. It’s also the only known body other than Earth with seas, numerous surface lakes, and even rainy weather. Now scientists have mapped out Titan’s polar lakes for the first time, revealing information about the moon’s climate and surface evolution. They found that the lakes formed differently than had been previously thought—and differently than any lakes on Earth. A map of Titan’s North Pole, including its lakes, sediments and complex terrain. A collaboration of scientists led by Alexander Hayes of Cornell University presented their findings at the 2015 American Geophysical Union Fall Meeting. 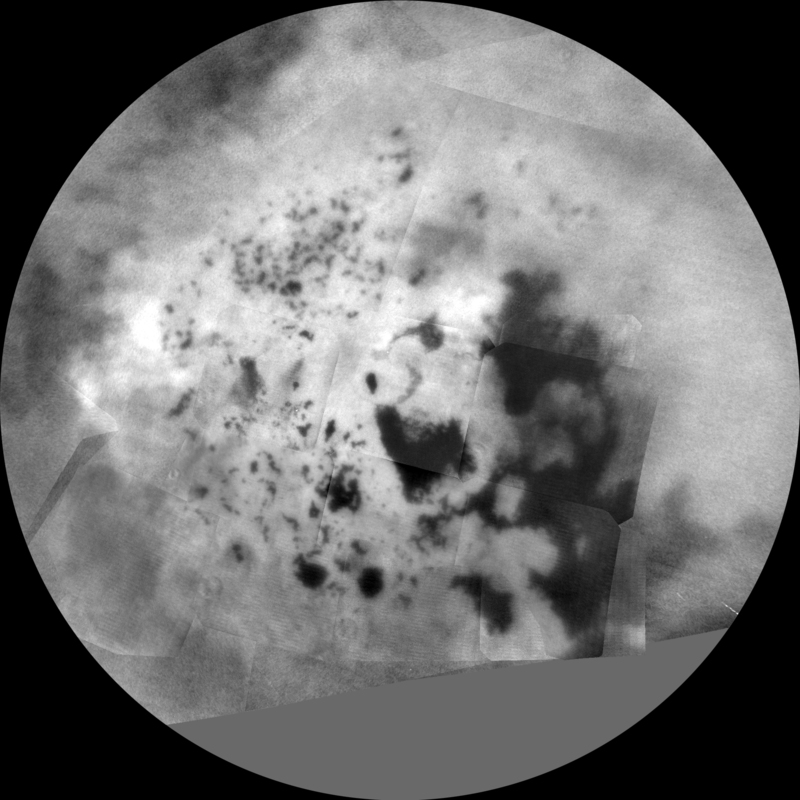 They used NASA’s Cassini spacecraft to penetrate Titan’s smoggy atmosphere and probe the complex lake systems below. Titan’s seas and giant lakes, which are larger than the Caspian Sea and Great Lakes, appear unique in the solar system, the study found. They consist of mostly liquid hydrocarbons like methane and ethane, possibly making them a promising location to search for building blocks of carbon-based extraterrestrial life. Because Titan is tilted with respect to its orbit, it also experiences seasons, which drive these lakes toward its North Pole. But Saturn’s eccentric orbit makes the lakes shift from pole to pole, Hayes explained. By combining Cassini RADAR mapper observations with other data, Hayes and his colleagues compiled detailed information about Titan’s lake systems and topography, allowing scientists to test ideas for how these lakes developed. “Topography in geology is the key because it drives the evolution of landscapes,” said Samuel Birch, lead author of one of the Titan studies and a Ph.D. student at Cornell.